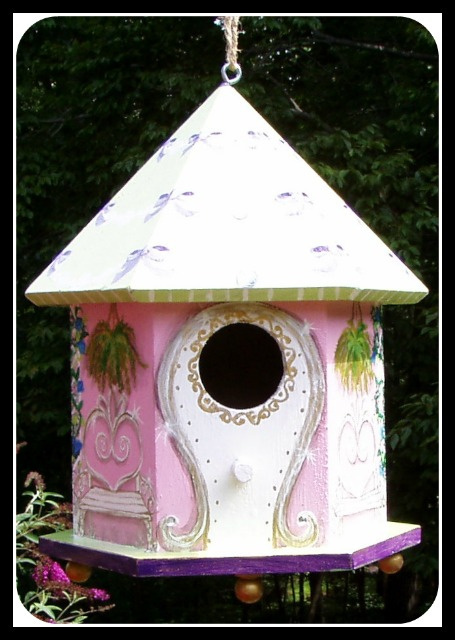 Treat yourself and your feathery friends to a delightful and unusual hideaway. 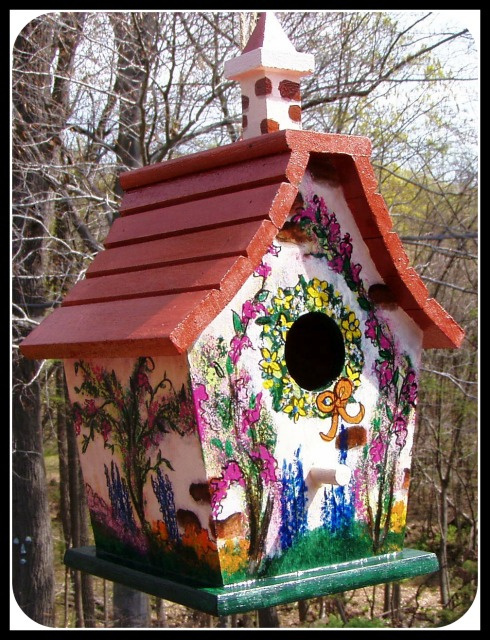 All my birdhouses are sealed with four coats of clear sealer which will protect from the elements and ensure years of enjoyment for all! 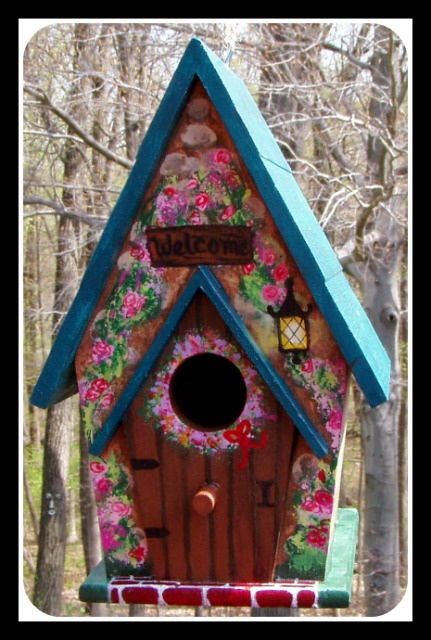 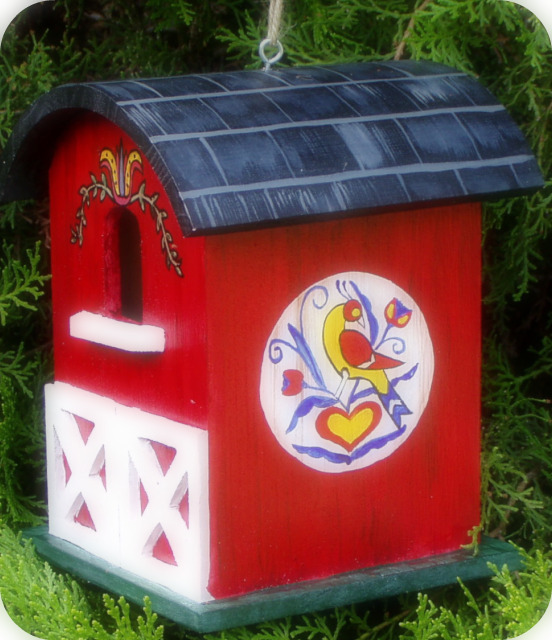 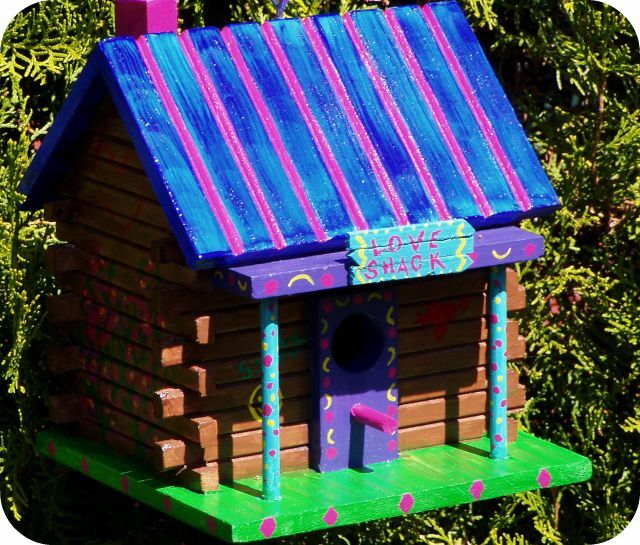 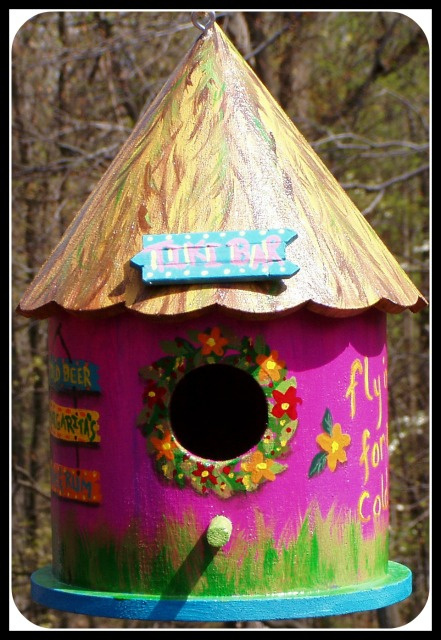 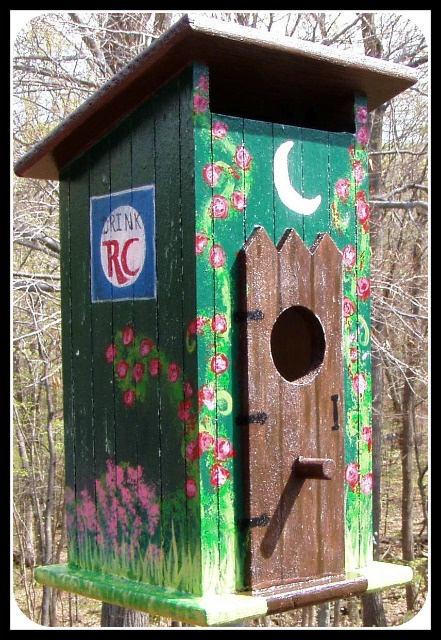 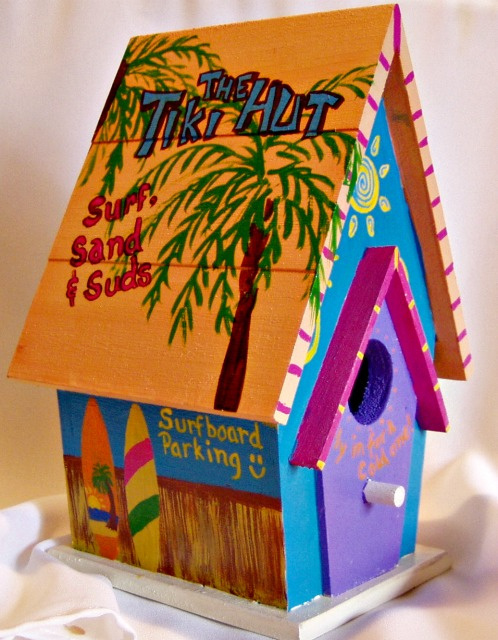 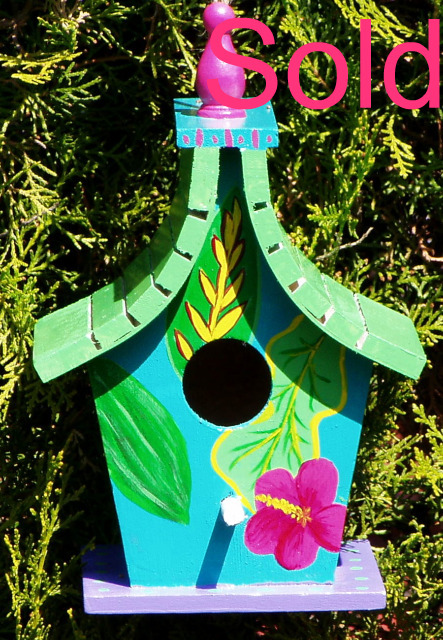 As with all of my items, Birdhouses are hand painted by me, and are one of a kind. 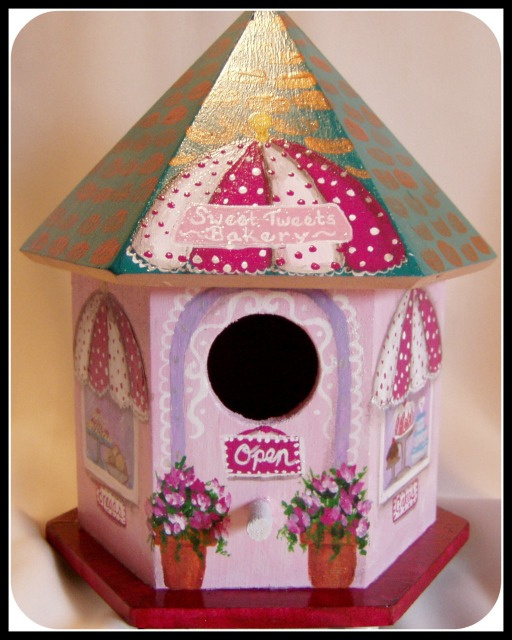 Free gift wrapping at your request!